Shanahan Swaffield Partners have Bookkeepers available to assist in your everyday Business Bookkeeping needs. BalanceRight Bookkeeping is the newest addition to the SSP Network. For your convenience, our package price list is listed below so you can easily estimate your Bookkeeping costs at a glance. 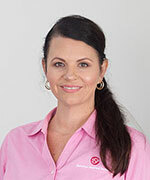 Janelle comes with over 15 years’ experience in Office Administration mainly in the health and mining sectors and is now your point of contact for all things Bookkeeping liaising between you the client and the Bookkeeping and Accounting team. To book a consultation, please email Janelle or call 07 49279080. 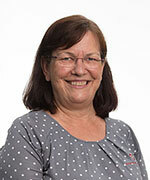 With over 20 years working in Office administration and real practical experience using MYOB software, ongoing training in MYOB, Rekon and XERO software only adds to Yvonne’s bookkeeping expertise. To achieve the best results for your business Yvonne will guide you with set-up and ongoing support with the right software package suitable for your business needs.